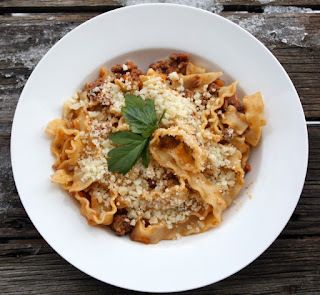 ARTICLE: The Official and Authentic Bolognese Sauce by Valerie Lugonja, November 6, 2012. Not only did Valerie make the pasta in Bologna, but she made it again back home in Alberta, Canada to the delight of her friends! 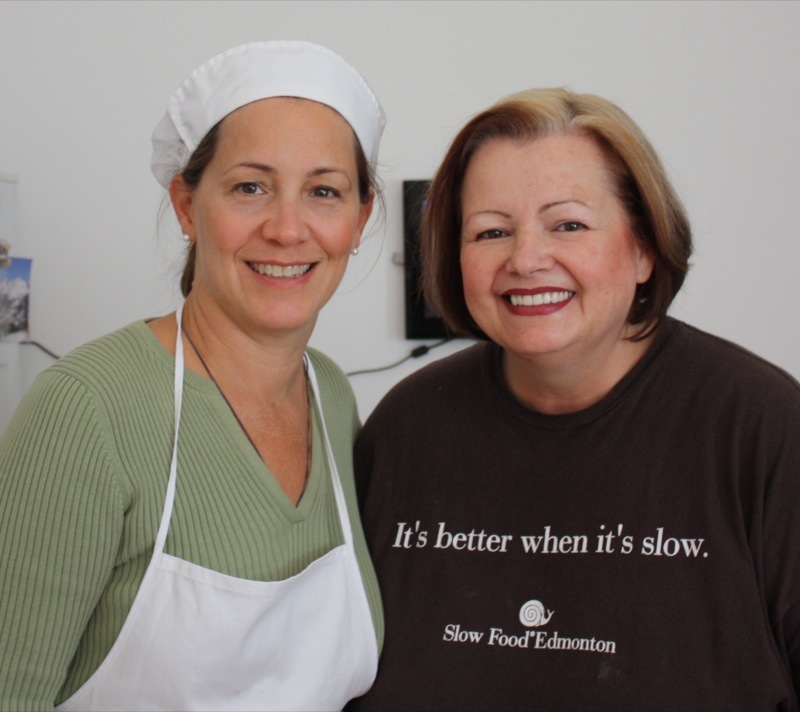 Apparently the birds also appreciated Valerie's efforts to recreate the sauce! 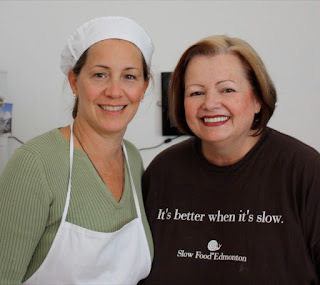 Valerie IS a Canadian Foodie who is a passionate member of Slow Food Edmonton, is on the Slow Food Canada Board, the founder of Eat Alberta, and lots more. Read more about her HERE She has a great sense of humor and is great company. Hope to see you again soon Valerie, either in Italy or Canada! By the way, Valerie... I love your t-shirt!